When it comes to reviewing volumes of essays by different hands, I tend to adopt the plodding but accurate approach of looking at each essay in turn and making specific remarks on each. [See on this blog my recent review of New Zealand Society at War 1914-1918, edited by Steven Loveridge]. As I see it, collections by various authors offer different perspectives and viewpoints, and cannot be summed up easily in generalisations. Each author has to be considered in turn. This is true even when the essays have some themes in common. Sacred Histories in Secular New Zealand is the second collection Victoria University Press has published of papers presented at conferences of the RHAANZ (Religious History Association of Aotearoa New Zealand). The first such collection was The Spirit of the Past (2011) to which, as a matter of record, I contributed one paper. The RHAANZ is a body of academics and graduate students in university History, Theology and Religious Studies departments, and in denominational training colleges, who have a twofold purpose. First, to counter the secularist approach to New Zealand history, which undervalues (or ignores) the important religious element. And second, to research and present scholarly studies on all matters in New Zealand relating to religion. This new collection offers 10 essays, which were presented as papers at RHAANZ conferences over the last six years. The first two contributions are by the collection’s editors. Geoffrey Troughton’s Introduction notes that New Zealand is increasingly secular in terms of those who opt for a “No religion” status in the census, but that this does not necessarily herald a completely secularised future world. Respectable academic studies suggest that only New Zealand, France and the Netherlands will soon have a majority who have no connection whatsoever with religion of some sort. On the world scene, then, New Zealand is anomalous. And paradoxically, despite New Zealand’s increasingly non-religious climate, the study of religion flourishes in New Zealand academe. Often this is a matter of taking religion seriously and correcting the imbalance of New Zealand history books, which ignored the influence of religion on our history. But does this mean that religion is now being studied as an exclusively historical phenomenon? There has been, in many New Zealand history books since the 1950s, the secular tradition of seeing religion in negative terms, and of creating the myth in which the secular state alone can create harmony between different belief systems. But, says Troughton, this is to ignore religion’s real mediating role in many disputes. Before he proceeds to introducing the individual essays, Troughton notes that secularism means many things – historically, it did not mean anti-religion but the acceptance of different religions flourishing in the same national space. The themes that Troughton sounds in this essay are essentially the ones that justify the existence of the RHAANZ. 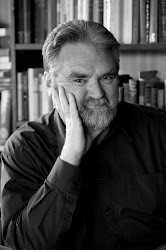 The first essay is by Stuart Lange, whose study of New Zealand evangelicalism, A RisingTide, I reviewed on this blog three years ago. Lange takes one common RHAANZ complaint head-on. His purpose is to discuss how both laudatory and disdainful views of missionaries arose in New Zealand historiography. He discovers that the early writer Arthur S. Thomson (in 1859) mixed praise of missionaries with criticisms of their impact on Maori. But for most of nineteenth century this approach was ignored for a more general hagiographic tone or for works which praised missionaries for their civilising influence and for helping to make New Zealand modern. This was true even of secular historians like William Pember Reeves. But in the 1950s and 1960s there came Keith Sinclair’s and Judith Binney’s disdainful view of missionaries as puritanical destroyers of Maori culture. Says Lange: “This disdainful view has almost become orthodoxy. It has become commonplace to sneer at missionaries, or to assert that the missionary outlook was ‘biased’ (and thus to assume that a sceptical twenty-first century viewpoint is bias-free. )” (p.29) Lange instances this in the recent negative writings about missionaries by Matthew Wright and Richard Quinn. He also notes the virtual disappearance of references to missionaries in the hefty 2009 New Oxford History of New Zealand. 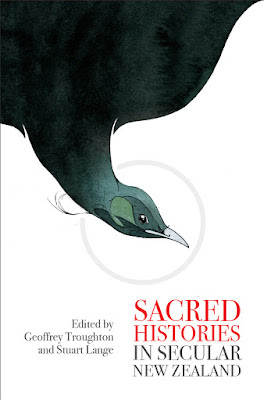 To this can be added the voices of the Maori Renaissance, which depict Christianity as a cultural intrusion, and the total absence of books about Maori Christianity by Maori. Yet, in what is almost a hopeful sign, Lange sees a new ambivalence. In his generalisation-filled general histories of New Zealand, James Belich usually adopts a sneering and condescending tone about missionaries, but at least he has to concede that there was some merit to the missionary endeavour. More recently, Vincent O’Malley’s The Meeting Place and Tony Ballantyne’s Entanglements of Empire (reviewed on this blog) are far more equitable in showing the mutual influence of Maori and missionary. Now, in academe’s Theology and Religious Studies departments, there are many more studies of the real situation of missionary and Maori, thanks in part to RHAANZ and conferences and publications. This chapter is an excellent overview of the problem, although perhaps it could have stated more clearly that the anti-missionary mythology persists in popular culture, despite academic studies. Malcolm Falloon’s essay is a far more specialist affair. It is a close examination of one of the best-known stories associated with the Maori adoption of Christianity in the nineteenth century. This is the story of the murdered Maori girl Tarore, whose death and whose copy of the gospels were said to have ultimately brought peace to hitherto warring tribes. Falloon’s article is not sceptical of the story, but notes how versions of story, by later historians, underwent many changes depending on the polemical purpose of the teller. Falloon himself respects the story and its significance, but basically argues that its greatest impact resides in its most authentic historical form, void of later decorations. However, like others of Anglican background, Reeves often excoriated the “Nonconformist” prohibitionists and disliked religious schools – hence the erroneous view that he had somehow come loose from his Anglican roots. Nicholas Thompson’s piece is about the anti-Catholic tour of the former nun O’Gorman in the 1880s. Apart from its being a chronicle of her tour and the sectarian tensions in its wake, the main point of his article seems to be that religious harmony in New Zealand most of the time was the result of a pact between the churches, and not of sectarian neutrality or indifference. Allan K. Davidson’s chapter on military chaplains in the First World War notes that Catholics worshipped separately from other denominations and then, having noted this, moves on to discuss the tensions that sometimes arose between Anglicans on the one hand and Presbyterians, Methodists and other Protestants on the other over (a.) the proportional allocation of chaplains; and (b.) whether or nor “combined” religious services were a good idea. The more evangelical Anglicans tended to respond well to combined worship, whereas the High Church types thought such services lacked the type of order and formality they preferred. In the end, after having examined such controversies at length, Davidson is able to show that in care for soldiers there was much cooperation between all denominations. Kirstine Moffatt’s contribution is on the novels of two evangelical novelists, Herman Foston and Guy Thornton, whose New Zealand novels were very popular among early 20th century evangelical readers, but have never been republished. She lauds them for their activism, but admits they are not very well written and tend to be overtly preachy. Her main point seems to be that these writers addressed working class males in “manly” ways, basically by showing that one could be both “manly” and Christian. She really makes a case for their historical value in revealing what these novels said about Christian aspiration at the time. John Tucker’s article is on J.J. North (John James North 1871-1950), Baptist leader and controversialist and “arguably the most influential leader in the history of the New Zealand Baptist movement” (p.139) Tucker’s essay is about North’s preaching. Baptists were at most 2% of New Zealanders. Like every other author who has broached this subject, Tucker tells us that this evangelical church centred its teaching on the Bible, the cross, conversion and social action; and in this North was “a traditional evangelical preacher who appealed to a conservative evangelical constituency in a period when liberal theology was gaining ground within mainstream Protestantism.” (p.146) Tucker, in what is largely a simple, laudatory article, tells us what a powerful preacher North was, how well-read he was, and how attuned he was to the social problems of his day. But we are still left with a figure from another age – especially in North’s anathemas against gambling, drinking and dancing, and in his heated anti-Catholic polemics, which amounted to sectarian bigotry. Far broader in its perspective is Peter Lineham’s survey of how Christmas has been regarded in New Zealand. Although Catholic churches have celebrated midnight mass at Christmas almost since their arrival in New Zealand, there was in Protestant churches a great reluctance to actually set aside Christmas as a special day. Indeed most Protestant churches had little idea of a church “year” with special canonical feast days. As for the Anglicans, only the High Church ones, influenced by the Catholic revival, saw Christmas as special. Only in the early 20th century did Anglican churches begin to have services at night and it was not until the 1930s that that the lessons-and-carols service came to New Zealand Anglican churches. Lineham then switches to talking about the secular festival, the rise of Santa Claus and the sidelining of the Christian Christmas. He ends with the sour and ambiguous note that after all, given the pagan origins of wassail, Christmas has hardly ever been an exclusively Christian festival anyway. This sounds like a surrender of Christmas to commercialism, and is not wholly true anyway. Christmas qua Christmas is and always has been Christian, even if elements of its celebration come from outside Christianity. Finally, Kevin Ward’s article considers what the census reveals about religion in New Zealand. In 1961, Christians were 90% of the population; in 2001 about 60% and by 2013, 49%. 20% of the population attended church weekly in 1960. Now weekly church attendance is down to about 10%. Says Ward: “History and recent research shows [sic] that if participation in churches declines then eventually Christian believing and participation also decline.” (p.172) However, on the same page he claims more optimistically “These changes are better understood as expressions of religious transformation rather than of the decline of religion.” (p.172). The big decline in religious observance was in the 1960s, with the most rapid decline being in mainstream Protestant churches. Some Protestants argued that this was offset by the growth of evangelical and Pentecostal churches; but these churches were a tiny part of the whole church-going community and, even with some limited growth, they remain so. Decline in some mainstream churches was partly offset by immigration. What accounts for the rapid decline in traditional religious worship? Ward argues that it is not a matter of simple secularisation, because despite the great increase in the “no religion” proportion of the population, it is clear that religious beliefs of some sort persist in the majority of the population. So the article turns to issue of “spirituality”, meaning vaguely-defined but non-institutional beliefs, which still influence much of the population. This is turn leads to Ward’s conclusion that, modernity having collapsed, in an age of pluralistic post-modernity, Christianity is still a major part of attempting to provide framework of values for society as a whole. Is this conclusion justified optimism, or is it whistling in the dark? “Spirituality” being such a slippery object, I am inclined to believe the latter. So, having bashed my way gracelessly through the ten essays in this volume, how do I sum it up? The essays are scholarly and well-informed. On some issues they are enlightening. The complaints Stuart Lange, Geoffrey Troughton and John Stenhouse make about the biases of New Zealand historiography are fully justified, but they are by now familiar, and almost obligatory, in RHAANZ conferences or publications. Of course some articles (Malcolm Falloon’s, Nicholas Thompson’s, Kirstine Moffatt’s) are principally of specialist interest, while others (Peter Lineham’s, Kevin Ward’s) have a broader social perspective. Like other academic collections, this is necessary groundwork for future studies of New Zealanders and their beliefs.